First-time shortlisted agency, Y&R SA’s Cape Town office, took home the accolade of Medium Agency of the Year at the inaugural awards ceremony following the merger of Jeremy Maggs’ The Annual and the Financial Mail AdFocus Awards, previously edited by David Furlonger. The Annual AdFocus Awards recognises excellence in business growth, business relationships, creative success and BEE/social investment in the advertising industry. 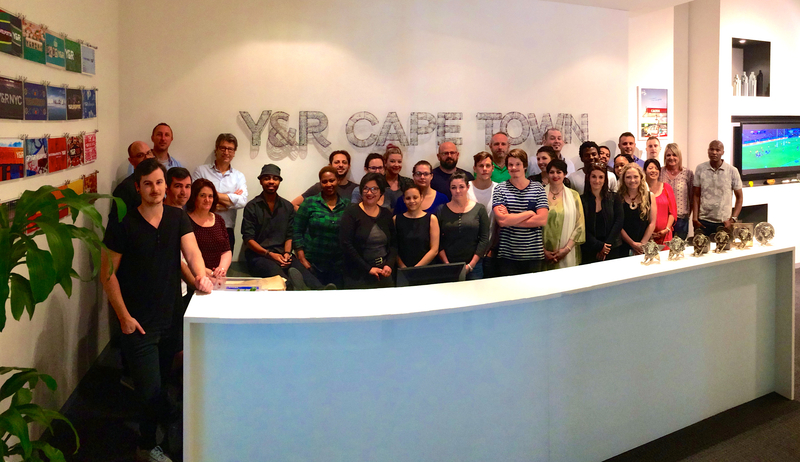 According to journalist Lynette Dicey, Y&R SA’s Cape Town office was an excellent contender in the category for its hard-hitting creative credentials. In the 2015 edition of The Annual AdFocus supplement to the Financial Mail, she adds that Cape Town’s performance leaves little doubt that the dynamic of the Y&R South Africa group has improved when compared to previous years. According to Andrew Welch, Chief Executive Officer of Y&R South Africa, the new addition to the wall of awards is testament to the increasing momentum of the Cape Town agency and its notoriety for punching above its weight in the process of establishing itself as a boutique creative powerhouse. “This win is dedicated to the relentless drive of our Cape Town team to achieve holistic agency excellence – some employees have been alongside us since we took over as the creative leadership in 2011, and some joined us along the way. But this is their moment to shine, and as a Group we could not be more proud of them,” Andrew adds.